This August Assistant Professor Lena Scheen of NYU Shanghai visited Copenhagen to talk about Shanghai. One of her most interesting points were to do with the narratives involved in producing the image of Shanghai as a new and vibrant global city. Scheen identified two myths concerning the origins of Shanghai city. One has it that Shanghai was nothing but a small fishing village until the British settled there 160 years ago. In reality Shanghai had been an important city for Chinese trade for centuries, but this narrative represents Shanghai as a young city, cosmopolitan from the very beginning. The second myth has to do with the so-called ‘Pudong Miracle’. In 1993 Pudong became a special economic zone, and the radical transformation of its cityscape began. Scheen explained how highrise landscapes were originally the result of limited space for urban expansion on a horizontal level (such as on Manhattan Island in the 1920s), and only later became symbols of the global city. But in Shanghai it was the other way around. When the Pudong skyline was begun in the 1990s, 80% of the buildings were empty. The strategy was criticized for constructing a mere facade, for trying to build the shell of a global business metropolis and then hope vainly that the shell would fill out itself. The surprising thing is that it worked. As with the fishing village myth, this narrative claims that Pudong was just empty countryside before the ‘miracle’. It ignores that at least 52.000 households were moved in order for the impressive new skyline to take form. In her book Shanghai Literary Imaginings, Scheen traces both these myths through various works of fiction about Shanghai. Among other things, she finds that real memories of pre-1990s Pudong as a residential area, and myths of its ‘miracle’ creation can live happily – if contradictory – side by side in Shanghai people’s understanding of their city. 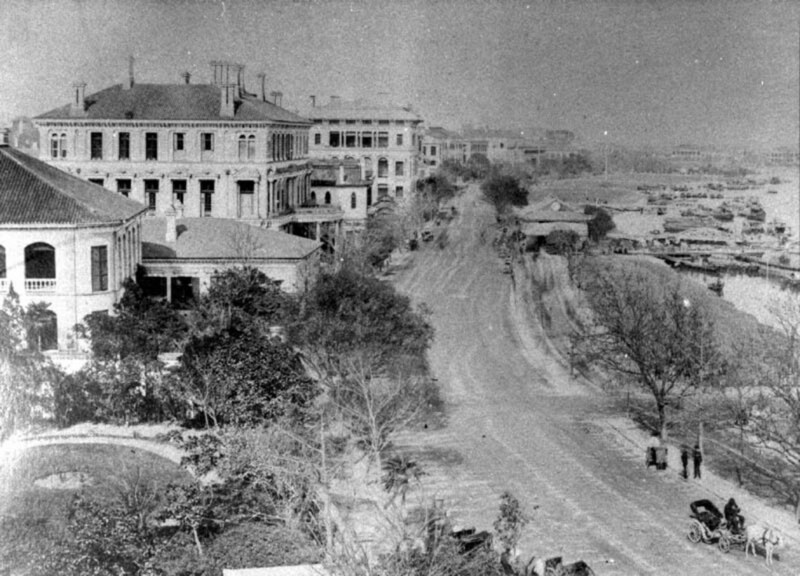 For more wondeful images and maps of old Shanghai visit Virtual Shanghai.